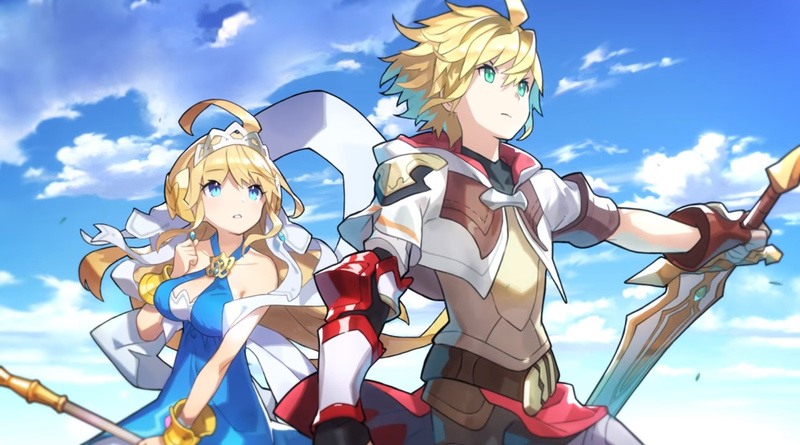 The Nintendo-published title Dragalia Lost has so far been well-received by mobile users, despite its limited launch. Following the previous news it had outperformed the sales of Animal Crossing: Pocket Camp in the first two weeks, Sensor Tower has revealed the Cygames-developer title is now Nintendo’s second-biggest mobile launch in the US and Japan, placing it right behind Fire Emblem Heroes. Sensor Tower’s Store Intelligence data reveals the game has grossed an estimated $28 million since it arrived in five select countries on 26th September, with US and Japan making up $23 million of those sales. 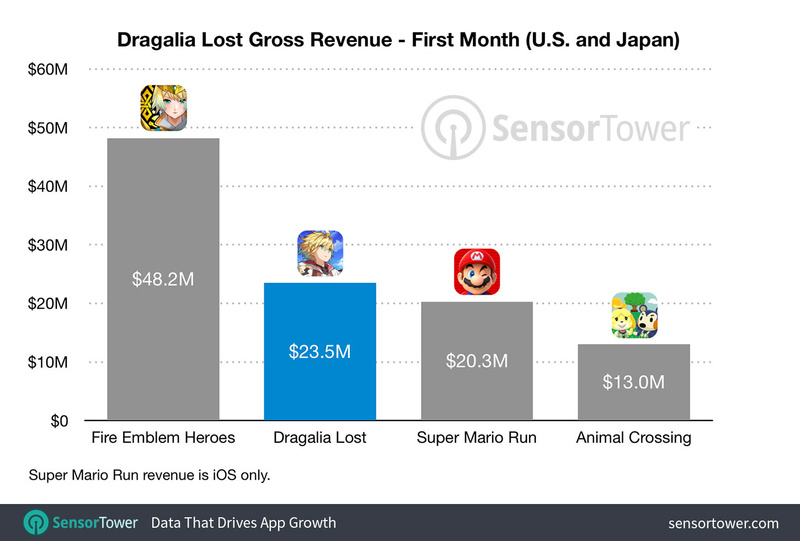 As the chart below illustrates, Dragalia Lost made $3.2 million more than the 2016 iOS release Super Mario Run in US and Japan in the first month. One metric where Dragalia Lost beats existing releases is the ratio of player spending to downloads. In terms of downloads, the game was installed an estimated 1.3 million times in the US and Japan, with average revenue per download at around $18.00. According to Sensor Tower, this is three times the amount spent on Fire Emblem Heroes per download in the first month. In total, 67 percent of the game’s revenue has come from Japan in the first month. Japanese players are believed to have spent an average of $25.00 per install, compared to $8.50 by US players. In contrast, Fire Emblem Heroes grossed $5.80 for each download in Japan. Have you played Dragalia Lost yet? Have you spent money in the game? Do you play other Nintendo mobile titles? Tell us below.